Dionysia Xirokosta is the director general of the Hellenic Competition Commission, having taken office in 2010. Previously, she was the director of the Legal Directorate (2009–2010) and head of unit in the legal directorate (2007–2009). She has worked as a legal competition expert in the Hellenic Competition Commission since 2001. 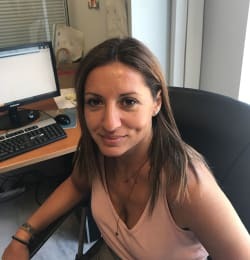 She is a graduate of the Athens University Faculty of Law and holds a master’s degree (LLM) from the University of Essex (UK), specialising in European law and European competition law. She is a qualified lawyer admitted to practise in the Athens Bar. She speaks fluent English, French and Italian.